IAWA is saddened to share the passing of one of its long-time members, Frank Polizzi. 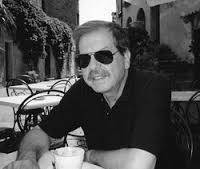 Through his journal FEILE-FESTA, Frank Polizzi published many IAWA and non-IAWA members' work -- both literary and artistic. His own work has been published in many journals and some translated into Sicilian and Italian. Frank Polizzi’s poems and stories have appeared in Bitterroot, Electric Acorn (Dublin Writers),Mudfish, Paterson Literary Review, Wired Art and others. Finishing Line Press published All Around Town, his poems exploring Sicilian American roots and experiences in NYC. A trilingual edition (English, Italian and Sicilian) of love sonnets, A New Life with Bianca, was released by Bordighera Press in March 2015. Several chapter/stories were published from his novel, A Pity Beyond All Telling, and one of them was shortlisted for the Fish Prize in Ireland. Frank’s new novel, Somewhere in the Stars made the 2014 Long list of the UK publisher, Lightship, for its “First Novel Prize.” His novel was recently accepted by Guernica Editions. Polizzi also provided a cultural forum for writers and artists in FEILE-FESTA,which he edited for the past 10 years and whose staff included Associate Editor, Gil Fagiani, Art Director, Richard Holz, Rosemarie Crupi Holz as a Contributing Editor and Michael Hassett, webmaster. FEILE-FESTA is an online multicultural journal of literary and visual arts published by the Mediterranean Celtic Cultural Association. Feile-Festa is written for everyone to enjoy even if your family heritage has nothing to do with the focus of this journal – all you need is a spirit of enthusiasm to appreciate the words that are sung on these pages, just as you don’t have to be Italian to love opera, or Irish to love a ballad, or African-American to love jazz. Feile-Festa, the Irish and Italian words for festival, hopes to affirm the spirit of the words of Emerson that “Life is a festival.” All we have to do is open our eyes to notice what is beautiful in life.